Last year I made myself a December Daily, which is a type of decorated journal where you keep track of what you did each day in the month of December. So much happens during the holidays, and we are in such a hurry, we tend to forget all the events that happened. I kept a journal last December because I wanted to remember the month instead of letting it go by in a big blur. 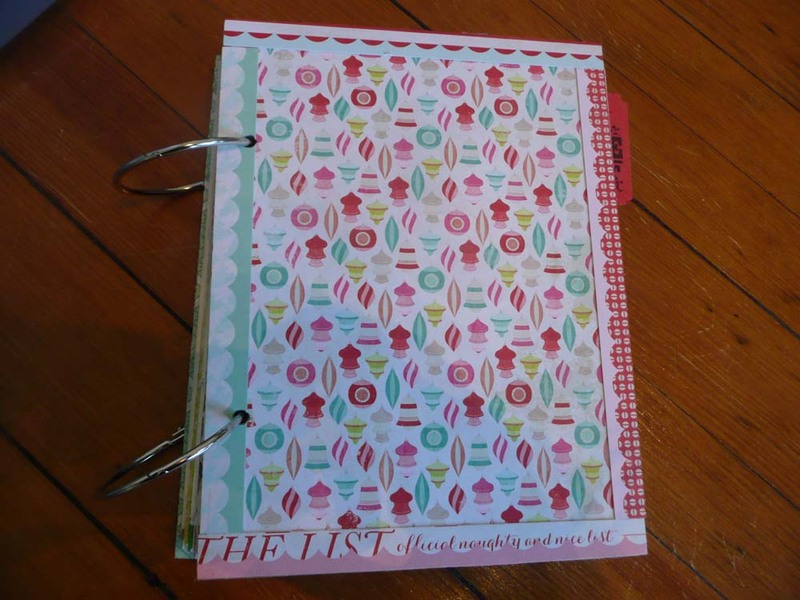 Here is a picture of the December Daily I made last year. I had as much fun making the journal as I did filling it, so I decided to make another one for this December. So all year I have been collecting bits and bobs to put in my journal. 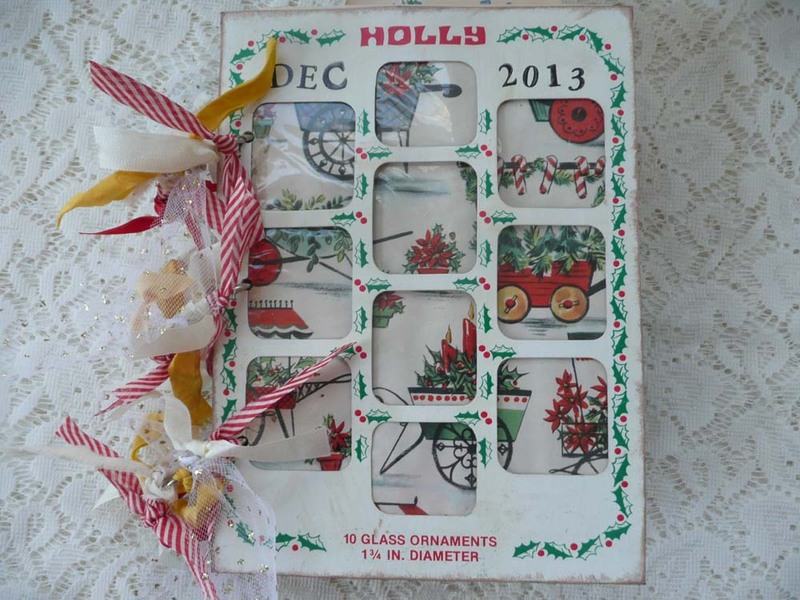 I even purchased some cute retro styled Christmas papers. 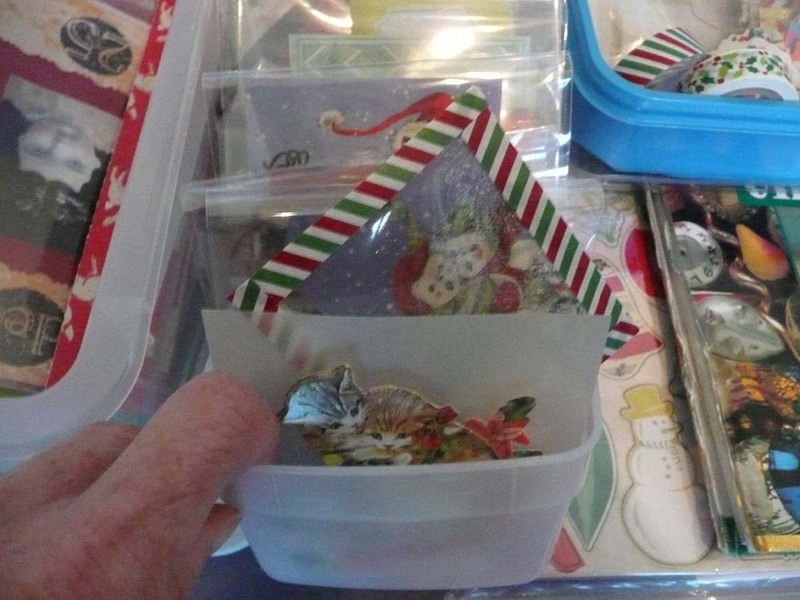 Well, a year is a long time to collect stuff and as I pulled everything out to start making my journal, I realized I had a giant paper-ephemera-embellishment-sticker-cards-ribbon-charms mess. I was so overwhelmed I didn’t even know where to start. That made me unhappy because I was so excited to work on this journal. Yesterday I finally decided to do something about it and it all started with this. 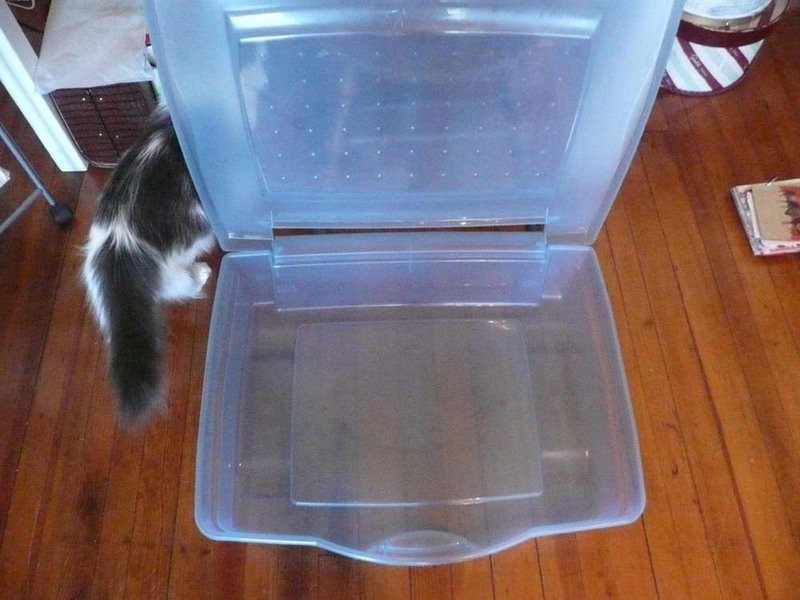 A BIG plastic tote box. Poor Louie was so excited. He thought I got the box out for him. Sorry baby. 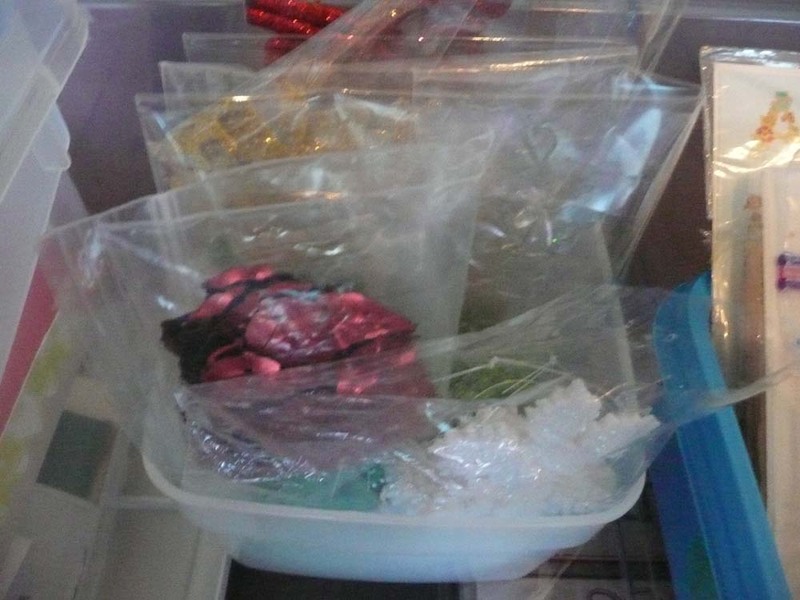 But throwing everything in a big tote would not make it any easier for me to find what I was looking for so I got some old Tupperware food boxes and got to organizing. Okay, this is actually a shoe box, but I needed a big container for paper and cardboard to be used as pages. I also have some envelopes in there. 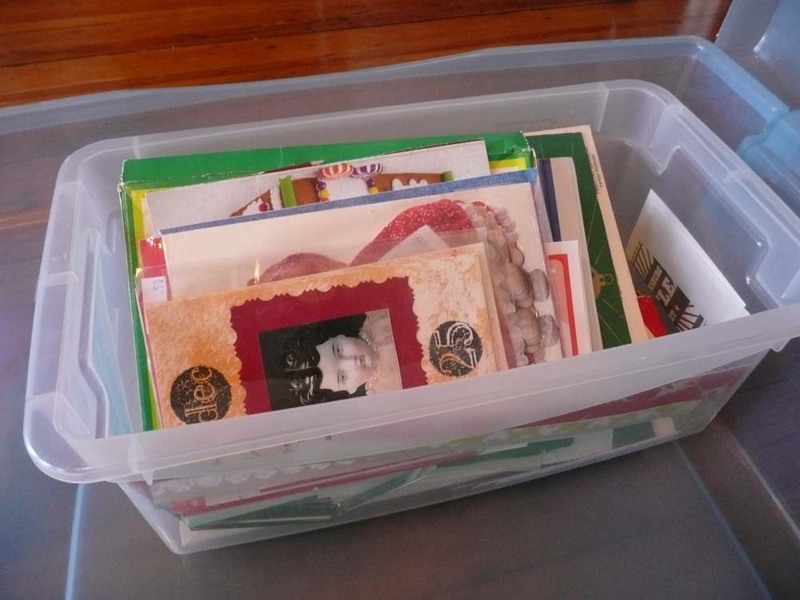 This box has smaller paper pieces for tags as well as word embellishments. These are all vintage style embellishments and cutouts. Be still my heart. 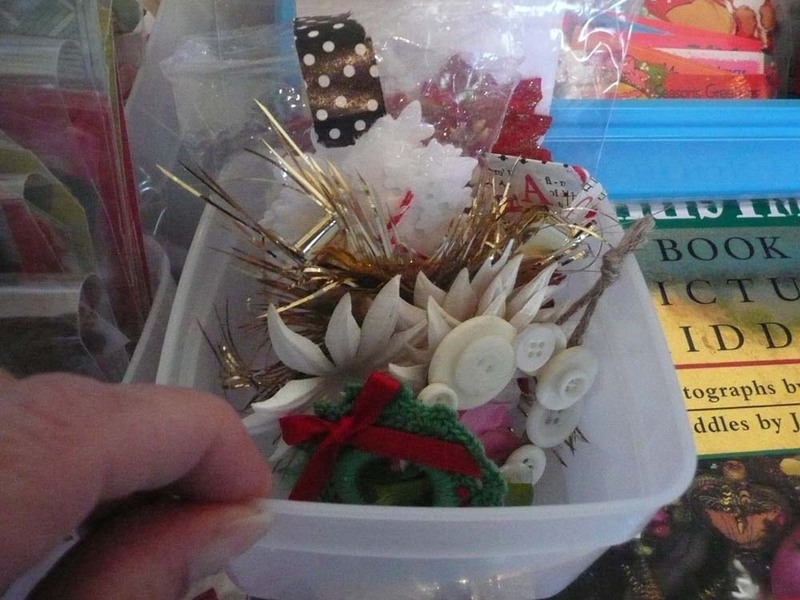 Here is a box of glittered embellishments. Notice that I took the time to bag everything so as to prevent a glitter downpour. This is a fun box too. 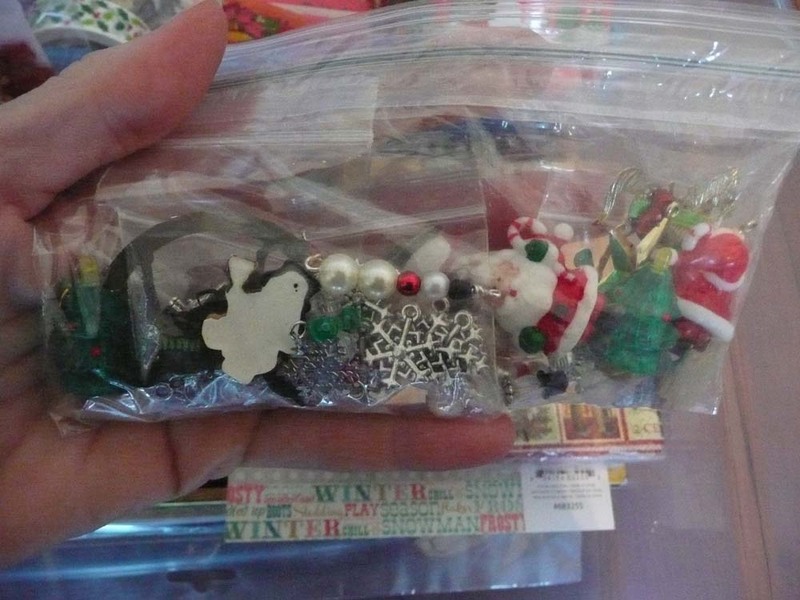 I have all my vintage Christmas stickers, alphabet stickers, washi tapes and just look at that cute roll of Duck Tape! Here are some 3-D type embellishments. I think I did a blog post last year about that little button wreath. Well if I did, it wasn’t in December or I would have written it down! 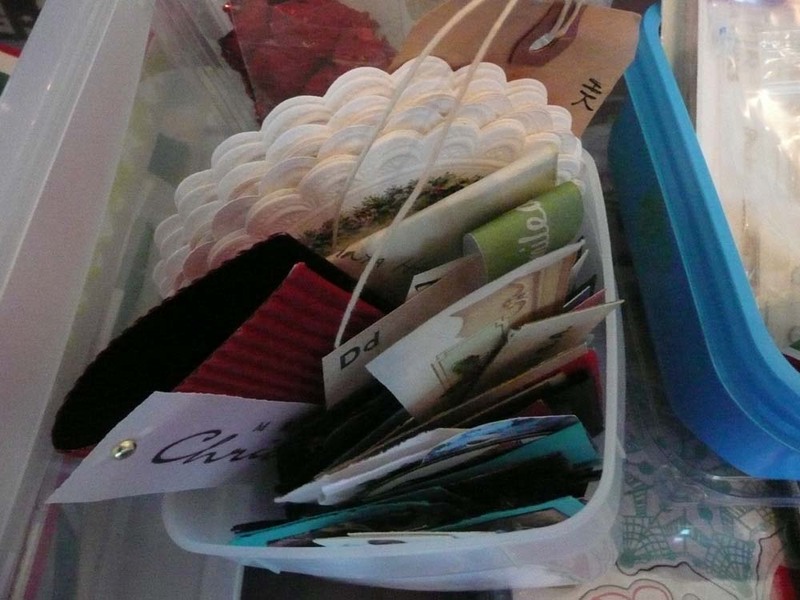 This 6″ x 6″ paper pad and the Christmas napkins were too big for a box so they just lay on top of the tote. How fun is this box? 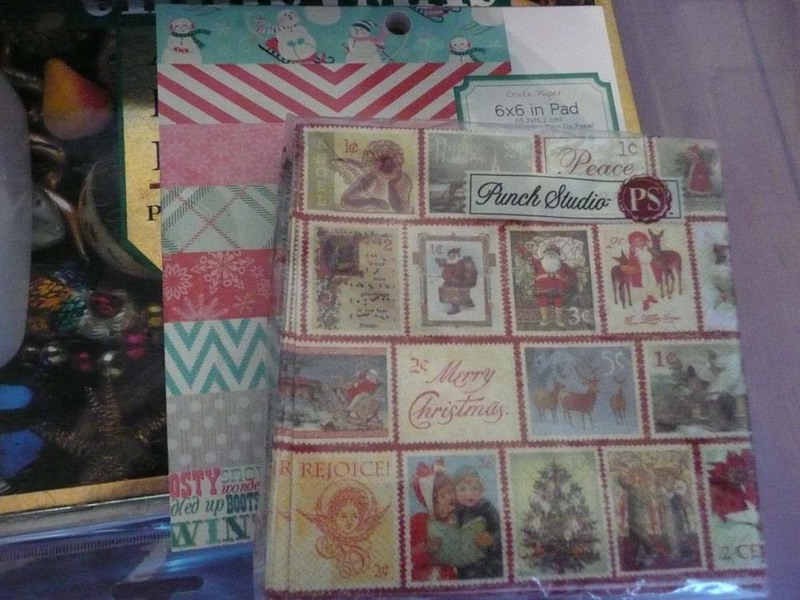 I get so excited just looking at all that Christmas junk journal goodness!!!! And if you look really carefully on the right side toward the top, you will see this….. It is my still naked, still plain, still waiting for the good stuff 2014 December Daily. 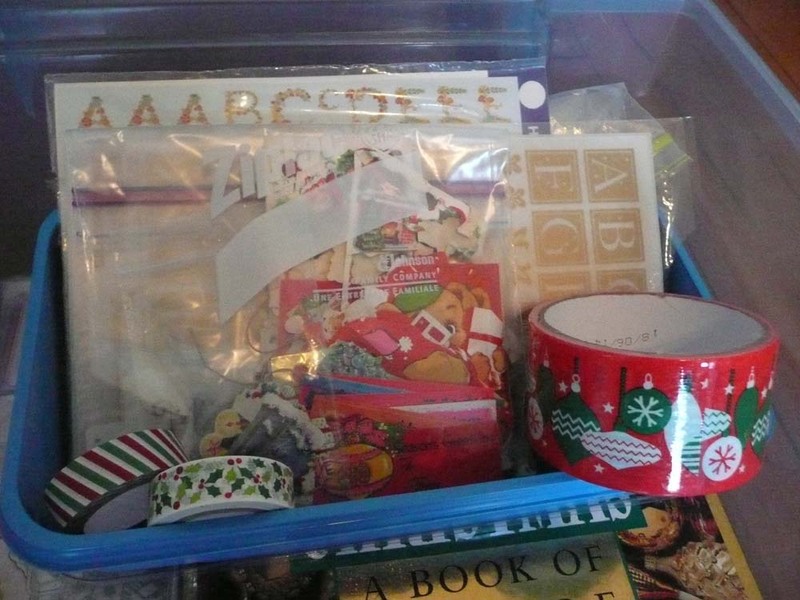 I am very happy that all the bones of my journal are in place now and I can get out my big box of Christmas happy and just PLAY!!! I will definitely post a blog with the finished product before December. 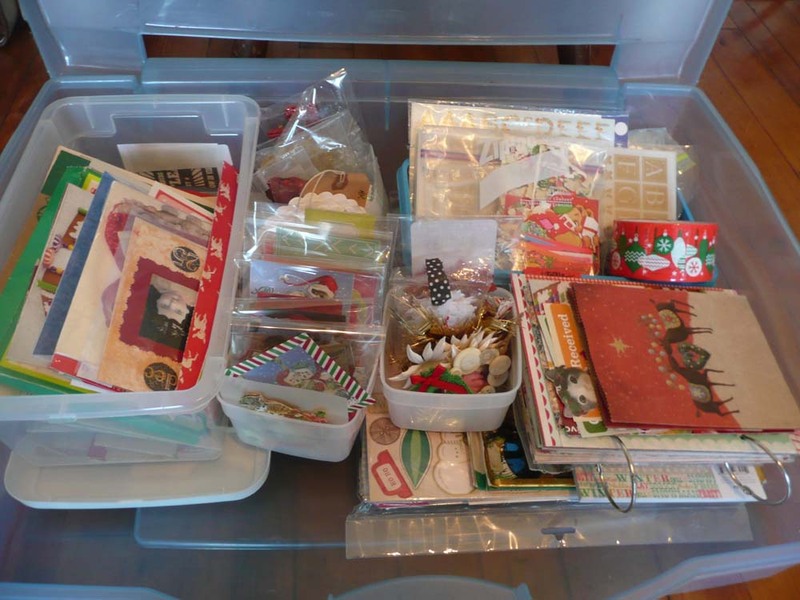 So in the mean time, get out some cardboard, get out some paper, get out some embellishments and get started on your December Daily. You’ll really be glad you did on December 1, when you can start recording all the magic that is Christmas.